14810 Sinks Road Florissant, MO. | MLS# 19010777 | Homes for Sale in St Charles, St Louis, Lincoln and Warren Counties! Looking for a Free Foreclosure List? Call Cheri Peterson 314-283-7251 Our Team is on the Leading Edge when it comes to Technology! Luxury could Become a Habit in this Spacious Well Maintained Home! 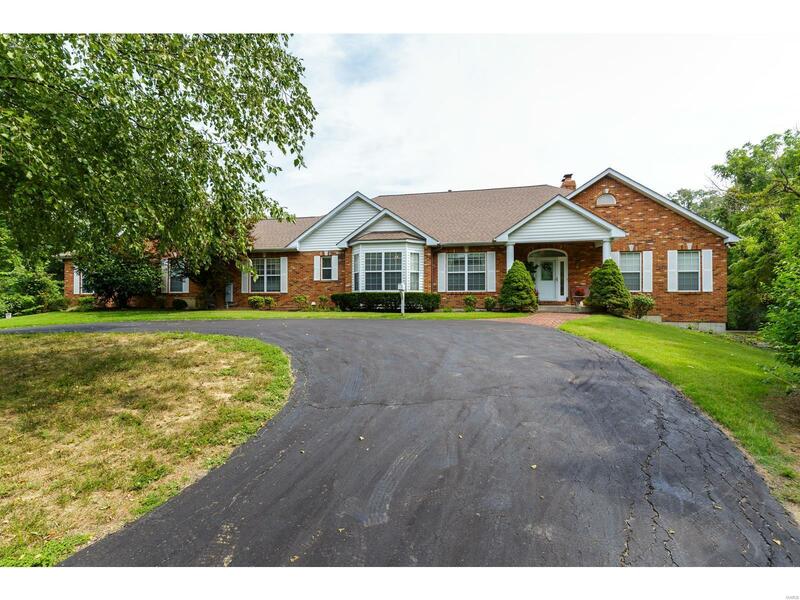 If you Love Privacy then this Home Situated on 12+ Acres is just What your Looking for! Bring your Horses! Barn w/2 Horse Stalls, Tack Rm,Out Building can Hold 5 Cars for the Auto Enthusiasts, Custom Built w/Marble Entry Foyer, HUGE Great Rm w/a Wall of Windows to take in the View.Gourmet Kitchen features Built In Appliances, 42" Cabinets some w/Glass Fronts, Over & Under Cabinet Lighting,Center Island, Butler's Pantry, Breakfast Rm, 3 Seasons Rm w/Hot Tub to Stay. Luxury Master Suite w/ Jetted Tub, Walk In Closet, Coffered Ceiling, Main Floor Laundry w/Planning Desk & Extra Cabinets. Possible In-Law Quarters In Finished Walk Out Lower Level w/ 2 Bedrooms & a Full Bath. 2nd Laundry Area, 2 Fireplaces. HWA Home Warranty Diamond Plan Includes Septic & Hot Tub. Whole House Generator. This Home has it all! The only thing Missing is YOU! Beauty,Warmth & Value! A Winning Combination!